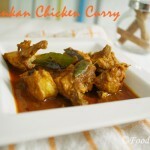 Taste of Chicken Kapitan is bit different from the SriLankan Chicken Curry. It is milder spicy. 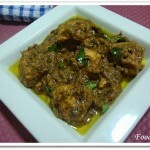 I found this Chicken Kapitan recipe in another site & thought of trying at home. 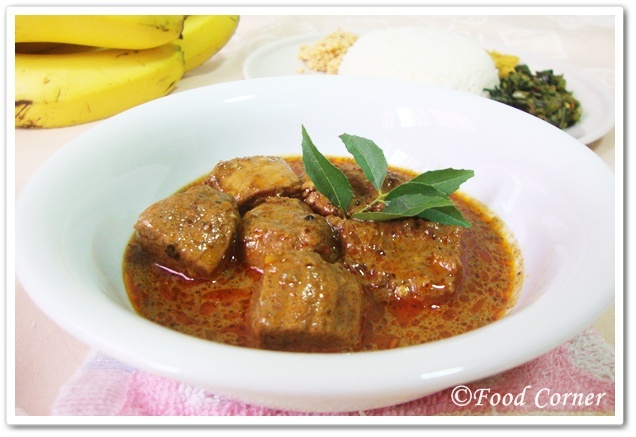 Here is the Recipe for Malaysian Chicken Kapitan. Use the ingredients under ‘Spice Paste’ in a grinder & grind into a fine paste. Heat oil in a pan and fry the blended ingredients. 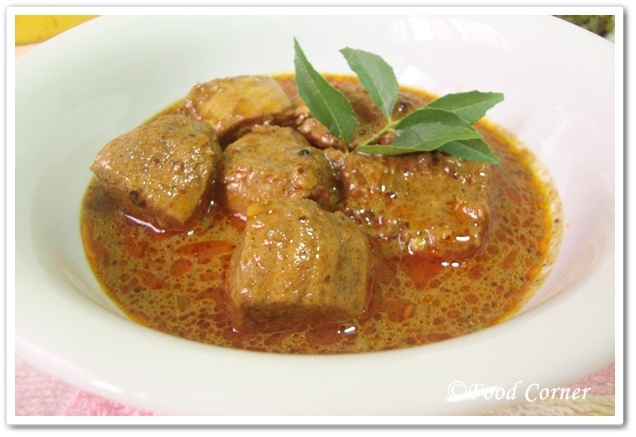 Once it is fragrant, add about ¼ cup of coconut milk to the paste. Mix well. This will prevent the spices from burning. Then add chicken, Mix well & fry for a few minutes. Then add the rest of coconut milk. Add kaffir lime leaves and cook chicken in low flame for about 30 minutes. Allow the gravy to thicken. Once chicken is cooked, add salt as per taste. Add few drops of lemon juice. This goes well with Roti Jala or Roti Canai. No part of this document may be reproduced without written consent from me. 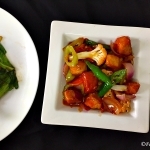 All rights reserved on images and written content by Food Corner © 2012 unless otherwise stated. Please contact me before using. Love the flavours and looks delish! This looks yummy! Thanks for stopping by and following. 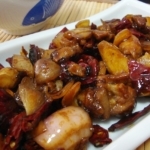 My mouth is watering after seeing your recipe.. looks yummy.. Sounds delish! Stopping by from the blog hop! Thanks for following and I look forward to following you and trying some of your wonderful recipes! 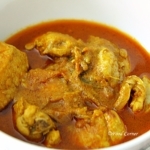 I LOOVE chicken curry! I have to try this recipe! Thanks for sharing it. Wow, this looks so yummy. 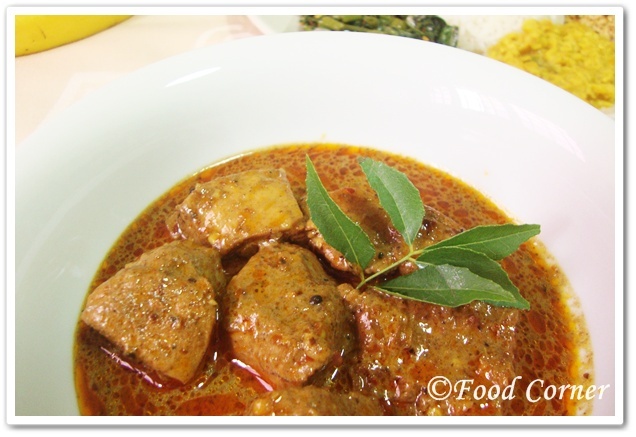 I usually just stick with a masala type curry but may have to try this.